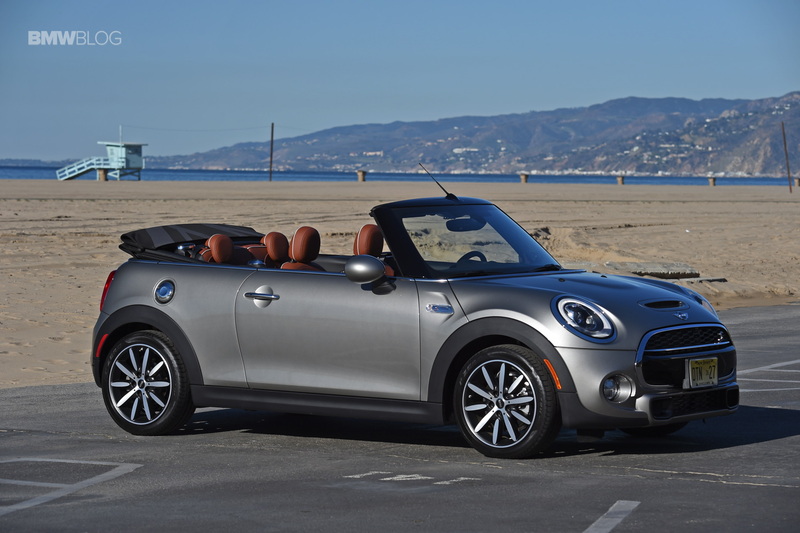 The MINI Cooper S Convertible and the Mazda MX-5 Miata aren’t exactly what you’d call direct rivals. The guys from The Fast Lane Car know this and yet, their drag race between the two convertibles is closer than you may think, even at one mile above sea level, the TFL Car trademark altitude. Pitting these two cars against each other, then, may seem like a bad idea at first but just wait until you see the outcome. On paper, the MINI has the obvious edge here for a couple of reasons. The Cooper S uses a turbocharged 2-liter 4-cylinder engine that is rated at 192 HP and 280 Nm (206 lb-ft) of torque, compared to Miata’s 1.5-liter naturally aspirated mill that’s good for up to 160 HP and 200 Nm (147 lb-ft) of torque. And while the Mazda may make up for some of that power difference with a lighter construction, being 600 lbs lighter, at 1 mile above sea level, a turbocharged engine will always have the edge, simply because it can force more air into the combustion chamber. Another advantage the MINI has can also be regarded as a disadvantage when you’re talking about a drag race. Yes, I’m referring to the two extra seats in the back that may not be all that comfortable or roomy but at least they exists and can allow some of your… smaller friends to come along for a ride. The Miata is, by definition, a roadster and will only accommodate 2 people at a time, unless you want to jam someone in the boot. The manual versions of these cars are close when it comes to their 0-100 km/h (62 mph) sprints, the MINI being just 0.1 seconds faster at 7.2 seconds but in order to get to those claimed numbers, you’d have to be a pretty good driver in the first place. So how did the guys from TFL Car fare in this showdown? Well, things were as close as it gets. Six cars I have driven that I believe represent significant milestones in automotive history.